Hidden from the rest of the world for decades, Myanmar is still an untouched haven. On this small group tour (maximum 10 guests) experience local life, visit the country's pristine temples that embody the landscape and cruise down the Ayeryarwaddy River, where local life continues to bustle as it has for many years. 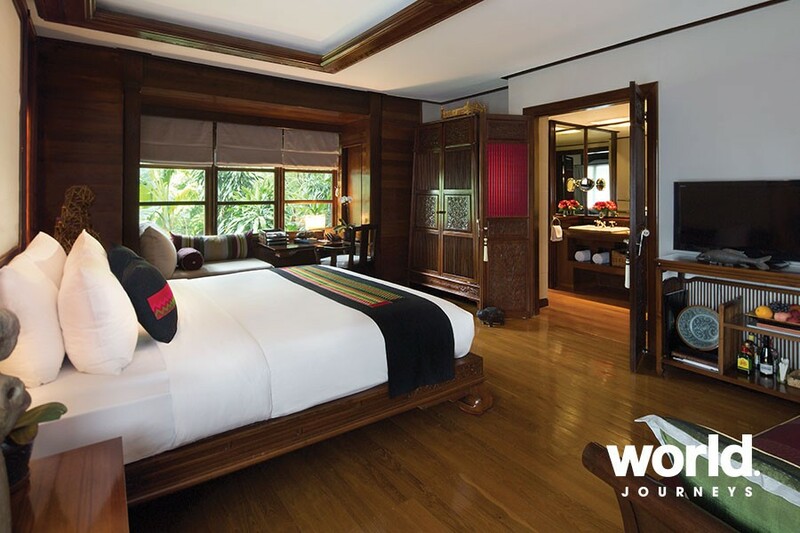 Experience Myanmar in luxury in style as you stay in 4 & 5 star hotels as well as a 4 night cruise on the luxurious Anawrahta. 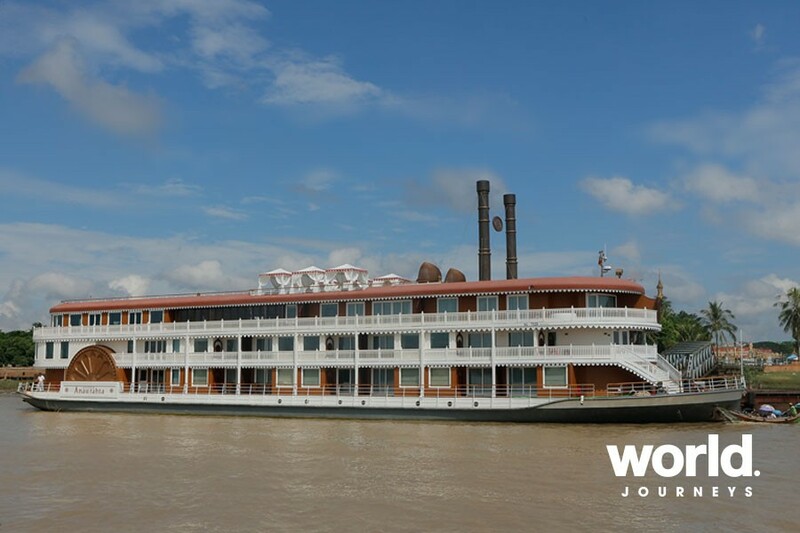 With the largest cabin space on the Ayeyarwady, and the highest crew to passenger ratio, The Anawrahta offers the finest on-board experience in Myanmar. 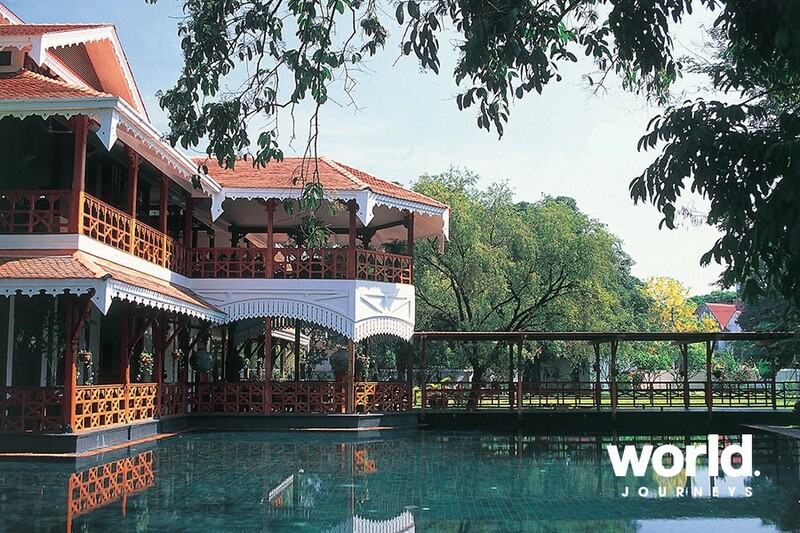 Blending the purity and serenity of King Anawrahta's Buddhist beliefs with the opulence of the British Empire. Built to resemble a British colonial paddle steamer, the elegant 65-metre ship features three spacious decks and 23 luxurious cabins. With its gleaming white rails, polished lacquer, intricately carved woodwork and shining brass, The Anawrahta takes guests back in time to an era of bygone elegance. 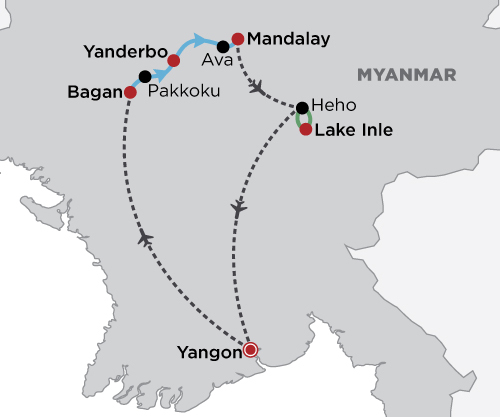 Day 1: Yangon Upon arrival, you will be met by a guide and transferred to your hotel. Remainder of the day is at leisure. 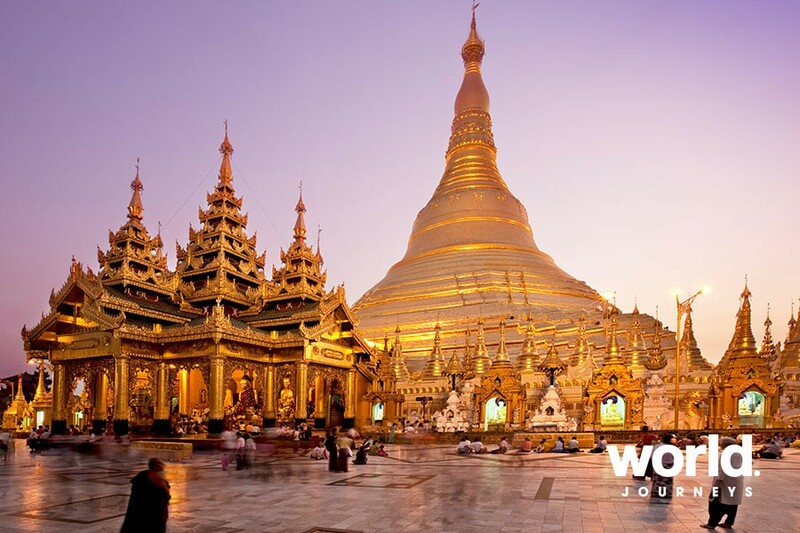 Day 2: Yangon (B,L) The city of Yangon is home to a vast collection of cultural sites. 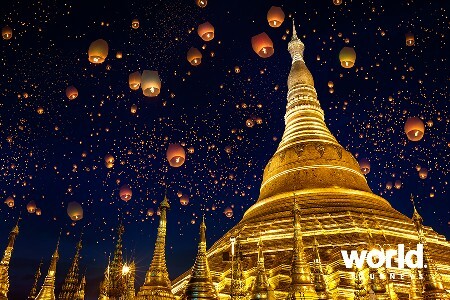 Start the day with a visit to the magnificent Shwedagon Pagoda, one of Buddhism's most sacred sites believed to house eight hairs of the Gautama Buddha as well as relics of three former buddhas. The 99m high golden stupa can be seen from almost anywhere in the city. 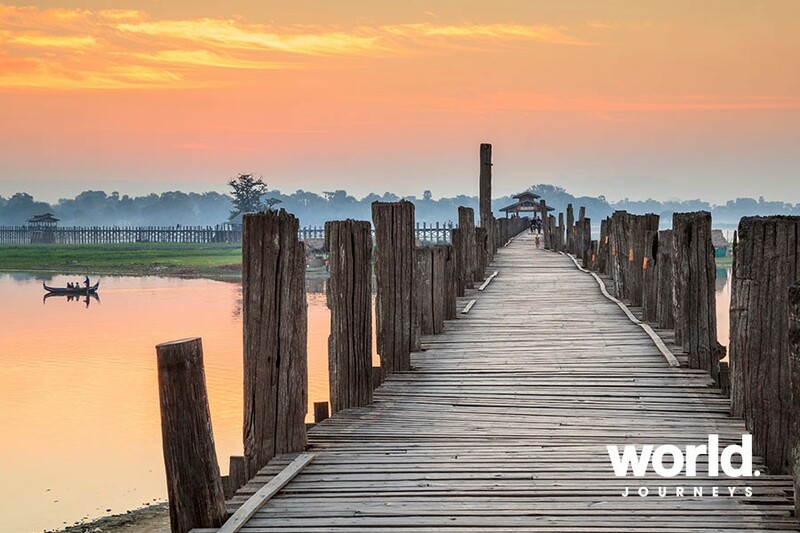 Drive to Kandawgyi Lake, a favourite picnic spot for locals and walk around the lake taking in scenes of local life. Continue to the Sule Pagoda, a 2,000-year-old golden temple in the southern part of the city. 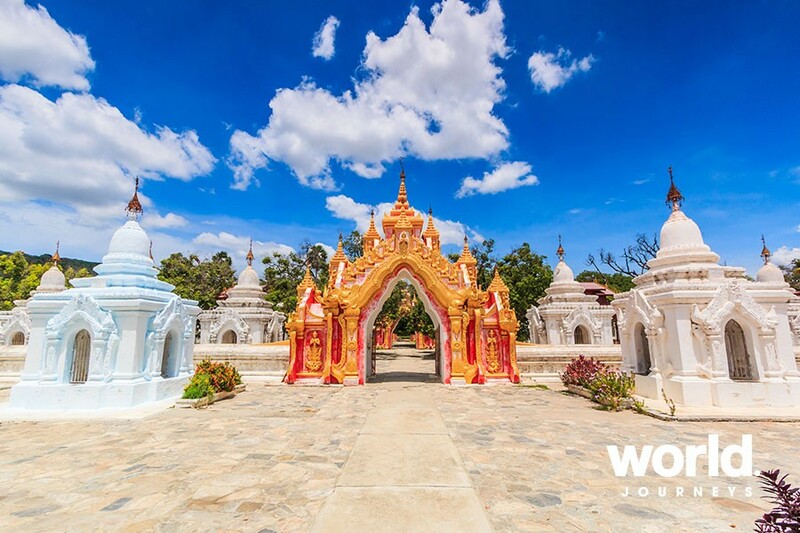 Finish the day with a visit to Chaukhtatkyi, known for its 70m long Reclining Buddha. Later, return to your hotel. Before electricity and TV came to Myanmar, puppet theatres were the highlight of entertainment as the sun went down. Expert puppet masters used to spend a lifetime as an apprentice, learning the ancient art of puppetry, including designing and carving the intricate wooden puppets, making their bright colourful clothing and learning how to master the rapid moves and dances passed down to them through generations. Fast, fun and often full of laughter and drama, the theatre in Yangon was set up to preserve this once thriving source of entertainment and to teach the younger generation the art of puppetry. Learn about the craft and watch a performance in a puppet theatre today. Day 3: Yangon > Bagan (B,L) After breakfast, meet with your guide and transfer to your hotel, the very luxurious Aureum Palace Hotel. The ancient city of Bagan in central Myanmar is reminiscent of other great ancient Southeast Asian cities such as of Angkor in Cambodia. Bagan, formerly known as Pagan, was the capital of several ancient Burmese Kingdoms. Approximately 2,200 of the originally 4,400 temples remain standing in Bagan. Start your day with a visit to Shwezigon pagoda, one of the four most significant buildings in Bagan which served as the centre of reflection and prayer. Then, continue to Ananda temple with its four huge standing "“ Buddha images and numerous seated figures arranged around the interior gallery. Make a short excursion at Anauk Pwa Saw village to see the cotton weaving work as well as Minanthu village which produces cooking oil from peanuts. Also enjoy lunch at local restaurant on the way. Return back to hotel and take a rest. In the late afternoon, visit to the Dhammayangyi pagoda, Bagan's largest temple. The temple is a large square, single story, pyramidal temple with six monumental ascending exterior terraces. 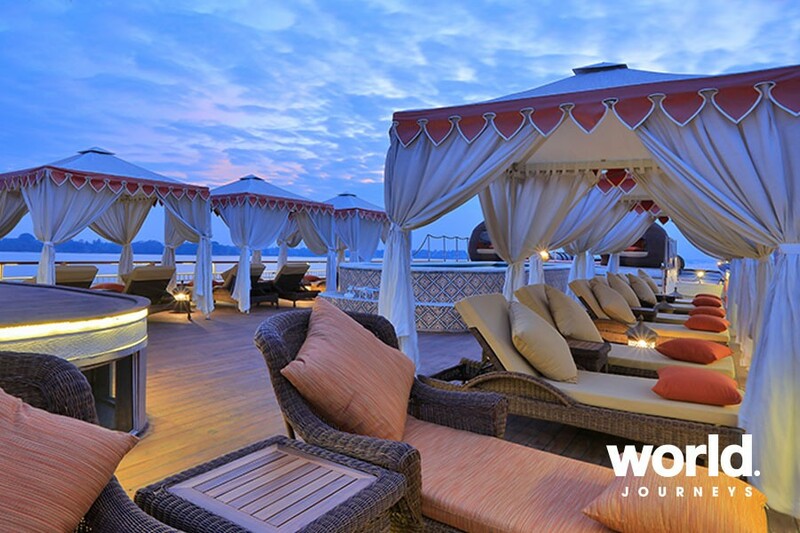 Finally, enjoy sunset from one of the most scenic spots in town and return to the hotel in the early evening. 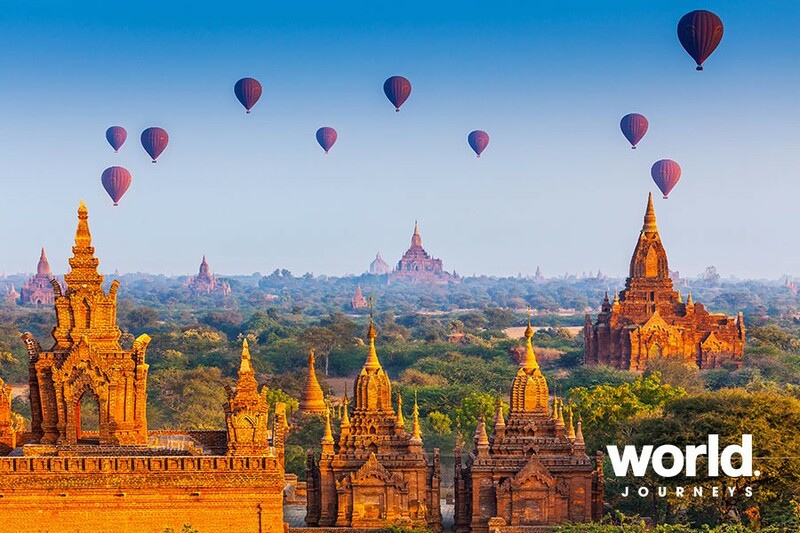 Day 4: Bagan (B,L,D) Spend your morning time at leisure. Around noon you board the luxurious Anawrahta, berthed at the quay of Bagan. After a warm welcome by our staff offering some refreshments you move into your "home" for the next days. Enjoy a leisurely lunch as the ship sails towards Pakkoku. Pakkoku is an old trading town on the western riverbank of the Ayeyarwady. Right before the arrival you see the longest bridge of Myanmar (Pakokku Bridge). On shore the tour takes us to some of the small industries in this area, such as a cheroot-rolling factory and a producer of 'Burmese slippers' ("flip-flops"). Local handicraft vendors try to make their living with it. A visit of the thriving market gives us an insight of the local goods and trading. Pakokku is also well-known for the production of Tobacco. If you like to buy some Burmese cigars, this is the place. We continue touring to the Shwegu Temple. This temple features incredible, intricate carvings made from rare Yamanei wood. It also houses a unique Buddha image seated on a lotus throne. Back on board lunch is served and Anawrahta continues her journey, eventually arriving at the utmost highlight of this journey - Mandalay. The ship will dock at the Mandalay pier at the early afternoon (approx. 2PM). As the evening approaches and the Burmese sun immerse everything in a golden light a special event will take place at the Kipling's Bar. Dress up in style as we send "A toast to the past" during a British club gathering where gents may whiff cigars and ladies sip on tasty gins with tonic. Share some tales of the old (British-Burmese) days. Isn't sometimes the time to lose time. Adjacent dinner is served at the Hintha Hall. If you feel like it you can join our open air cinema under the stars on the sun deck showing classic movies (depends on weather conditions). Day 5: Anawrahta Cruise - Pakkoku > Yanderbo (B,L,D) For early morning risers, there is a special opportunity to participate at a yoga session on the sun deck. Strengthen your muscles and ease your mind by merging with the Ayeyarwady and its therapeutically slow flow upstream. We leave in the morning from Pakkoku for our next stop Yanderbo. While you are enjoying breakfast, the ship passes the confluence of the Ayeyarwady and it's greatest tributary, Chindwin River. We arrive at the quiet, small riverside village of Yanderbo. An unique and fascinating gem of a village where in 1826 the King of Ava signed the Treaty of Yanderbo, signaling the end of the First Anglo-Burmese war. Nowadays the villagers produce a type of water pot which is reputed to keep water cooler than pots from anywhere else in the country. Anawrahta's broad-knowledge guides will offer you the explanation to that. On foot we explore the village. You quickly notice that the villagers here are extremely friendly, charming and open for chit-chats. You will definitely take back home some enchanting memories. Their techniques and skills to produce a variety of pots and utensils are perplexing. Try yourself to work on one of these pots. Back on board a delicate lunch buffet awaits you. The ship continues its journey northwards. Gaze on the river banks of this eternal stream from your bench on the sun deck or alternatively, a spa treatment would have the same recreation effects. In the afternoon we learn more about some of the long-lasting traditions (Longyi and Thanaka demonstration). A fascinating presentation about the history and culture of Myanmar follows afterwards. Before dinner you may like to enjoy one of our various treatments in the Thanzin Spa. Dinner is served at the Hintha Hall restaurant. If you feel like it you can take a seat at our open air cinema under the stars on the sun deck showing a classic movie (depends on weather conditions). Day 6: Anawrahta Cruise - Yanderbo > Ava > Mandalay (B,L,D) In the morning, our yoga class helps you to get in the right form for the day. Enjoy a leisurely breakfast as the ship sails some more miles northwards before we arrive in Ava. In Ava, we disembark for a wonderful discovery of some very highlights of this former royal capital. By horse-drawn carriage we explore this area, sprinkled with many kinds of distinguished ancient monasteries and fanes: Bagaya Kyaung a jaw-dropping teak monastery built in 1834, which nowadays continues to be a monastic school; Maha Aung Mye Bonzan Monastery or the Nanmyint watch tower come both in a different art and creation. It is the peace of Ava which you will then hopefully absorb during a laid-back aperitif at a secret place in the middle of this sacred spot on earth. Back on board a feast of a lunch buffet is served and Anawrahta continues the cruise northwards, eventually arriving at the utmost highlight of this journey - Mandalay. 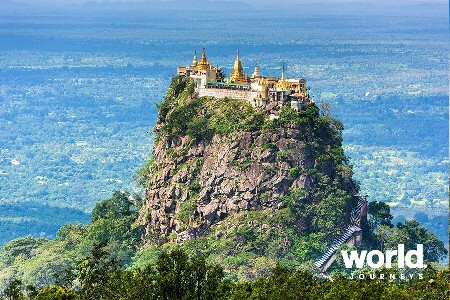 Take some time to observe the beautiful Sagaing Hills with loads of scattered pagodas while the ship is passing by. We will dock at Mandalay at the early afternoon. In the afternoon, a magnificent tour shows us some of the most interesting sights of Mandalay. Observe the incredible process of the gold-leaf beating, visit a silk-weaving manufactorer and finally have a stroll through the amiable streets hosting many marble-carving workshops. The ultimate highlight of this day is a sunset cruise in a small rowing boat around the famous 200 year old "U-Bein Bridge"- a true "Kodak" moment. We wistfully return to the boat. After some refreshing time and before dinner, you are invited to watch a traditional dance and music performance by students and teachers of the Mandalay Art School. After dinner our nightly open air cinema is offering another classic movie on the sun deck (depends on weather conditions). Day 7: Anawrahta Cruise - Mandalay > Mingun > Mandalay (B,L,D) Wake up in the early morning and follow the going-ons on the Ayeyarwady before breakfast is served. Today we take our guests on an amazing discovery of the most impressive pagodas of Mandalay during a morning tour. First we visit the Kuthodaw Pagoda, which is known as the "the world's largest book". This pagoda comprises of a gilded pagoda, hundreds of shrines housing inscribed marble slabs and several pavilions. 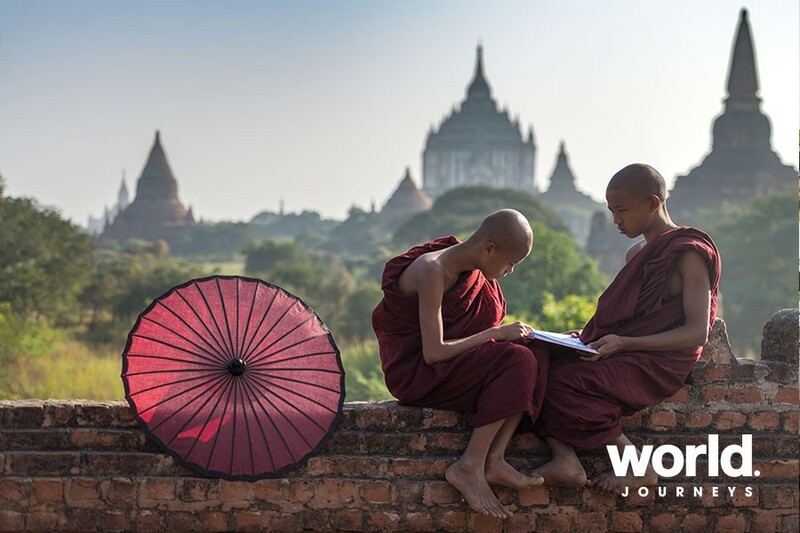 We continue to the Mahamuni Pagoda, which is one of the most important Buddhist pilgrimage sites in Burma and houses the most highly revered Buddha image in the country. Last but not least the atmospheric Shwenandaw Monastery, which is maybe the finest examples of traditional 19th century wooden monastery buildings. It used to be part of King Mindon's Mandalay Royal Palace. From this elevated point we can entirely overlook the city of Mandalay. We return to the ship and have lunch while Anawrahta sets sail to the site of Mingun. Mingun showcases the monumental, unfinished stupa of King Bodawpaya. It has never been completed, due to an astrologer claiming that states: once the temple would be completed, the king will die. Via a relaxed walking tour we reach the closeby world's biggest un-cracked bell, weighing 90 tons. Upon return to the ship our cruise manager invites to a high tea at dusk with cocktails, sweats and treats. Anawrahta sail gently back to Mandalay. Dinner is served is the restaurant and afterwards the crew offers some farewell entertainment in the lounge before you retire for your last night onboard. Day 8: Mandalay > Heho > Inle Lake (B) After breakfast, your disembark. Meet your guide at the pier and you will be transferred to the airport for your flight to Heho. Upon arrival at Heho airport, meet your guide. Transfer from airport to Nyaung Shwe pier, then embark on a short boat to your hotel. Remainder of the day is at leisure. Day 9: Inle Lake (B,L) Located in Central Myanmar's Shan State, Inle Lake is the country's second largest at 22km long and 11km wide. Located at an altitude of 880m, the lake is also one of the highest in the country, with a cool climate and exceptional flora and fauna. There are an estimated 70,000 people living in more than 200 villages on or around the lake. 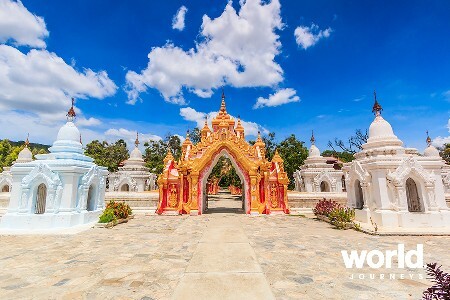 Start your exploration on a boat cruise passing floating villages and gardens on your way to Phaung Daw Oo Pagoda, the holiest religious site on the lake and home to five Buddha images completely covered by worshippers with gold leaf. Continue to the Heya Ywama Village and observe traditional handicraft workshops including silk weaving on wooden handlooms and blacksmithing before having lunch at a local restaurant. 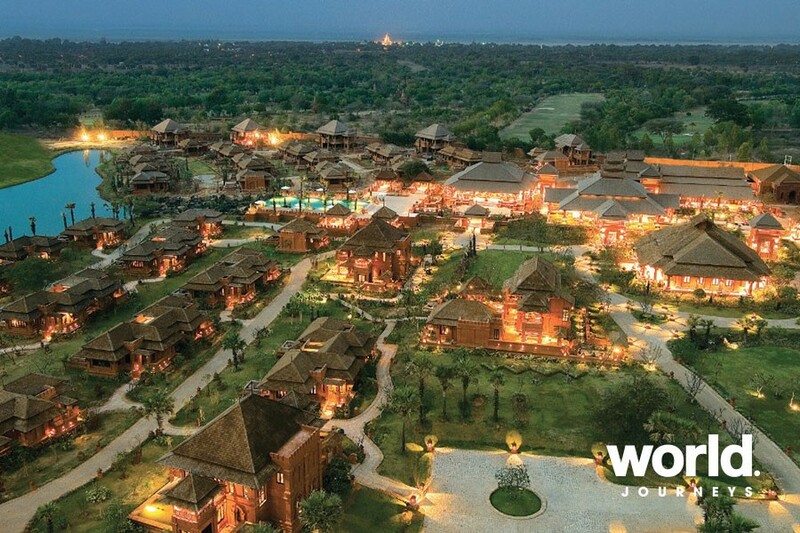 Also visit cheroot making (the traditional cigar of Myanmar) and gold and silversmith workshops. On the way back to your hotel, catch a glimpse of the lake's unique leg-rowers, the Intha people who row standing up with one leg wrapped around the oar. Day 10: Heho > Yangon (B) After breakfast, meet with your guide at hotel and transfer to the airport for your departure flight. Upon arrival in Yangon, connect with your departure flight. Minimum group size is 5 and a maximum group size of 10 guests.